Much hyperbole surrounds Russia’s S-400 advanced surface-to-air missile system, which is now being exported abroad and was recently deployed to Syria. Unsurprisingly, Russia has leveraged this deployment to further build-up the public’s perception of the S-400. Still, the S-400 is highly capable, and beating it, or any advanced air defense system, is far from simple. The video was filmed at the Kapustin Yar test range in the Astakhan region of Russia, during a test of the S-400 against ballistic missile targets. The test supposedly took place while the S-400 was under heavy electronic jamming conditions. Despite this, Russia claims all four of the missiles hit their targets during their mid-course stage of flight. 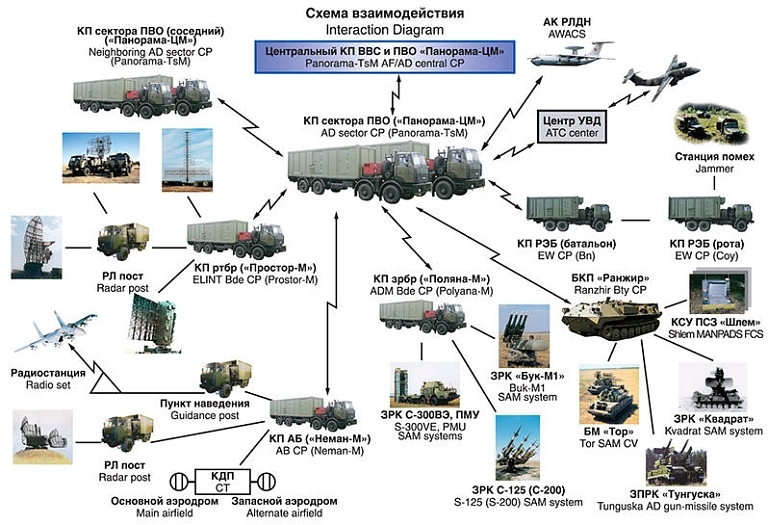 It is unclear exactly what components of the S-400 system were present for the test aside from the 92N6E “Gravestone” fire control radar, command and control vehicles, transporter-erector-launchers and the missiles. The S-400 can use multiple types of missiles, and can integrate with various sensor systems including older radars designed for later versions of the S-300 system. This trial appeared to test the system in a mobile expeditionary fashion, not where the S-400 unit is one of many surface-to-air missile systems and sensors that are tied together into a integrated air defense system (IADS). Advanced IADS are increasingly using some level of sensor fusion to meld many different sensor’s data together into a single common “picture” that is capable of providing engagement-quality tracks of enemy targets. Making things even more complicated is that most IADS have many different sensor and missile systems’ capabilities (not to mention fighter and surveillance aircraft) overlapping in a layered fashion, and some of these could be road-mobile. These systems can pop-up at different locations at different points in times, making them very unpredictable. This means that what was a once “most survivable route” through an enemy’s IADS, charted based on previous intelligence and often referred to as a “blue line,” could change without notice. If a previously unknown or road mobile air defense system were to pop up in the aircraft’s path it could make the crew adapt its route in real-time, something that could cause a domino effect that greatly reduces their ability to survive over enemy airspace. Remember, even the stealthiest aircraft is not invisible to radar; it simply has reduced detection range and this may vary greatly depending on what angle the stealth aircraft is at in relation to the sensor radiating it and what wavelength/band/frequency that radar sensor is operating on. Ground-based infrared search and track systems are an entirely different story, but these too can be tied into an IADS. Once again, this video is said to depict the S-400 being tested in a electronic warfare-heavy environment. Recently, some defense observers and journalists have touted America’s premier electronic attack aircraft, the EA-18G Growler, as an antidote to first class air defense systems, and particularly the S-400. This is only partially accurate. America’s unique electronic warfare and radar suppression abilities includes the Growler, but also many other platforms and ancillary capabilities as well. This complex ecosystem of weaponry and sensors includes various surveillance aircraft, hacking and cyber warfare abilities, active suppression of enemy air defenses tactics and weaponry, along with low-observable aircraft and long-range “standoff” munitions. The last two are especially potent when combined together and electronic warfare support is added. Firing long-range low observable (stealthy) weaponry from even a non-stealthy aircraft gives enough stand-off distance to begin taking out an enemy’s known air defenses at a safe distance today, the S-400 included in most cases. When a stealthy launch platform is used instead, you can use more plentiful weapons with less range as that stealth aircraft can get closer to the air defenses being targeted than their non-stealthy brethren can. For instance, an F-16 may be able to get well within JASSM missile range of an advanced SAM site while an F-35 could get within the outer-edge of Small Diameter Bomb range. When you add jamming support, these ranges decrease by a noticeable margin, depending on what tactics are used and what the capacity available is to employ those tactics. The problem is that against an advanced foe, you’re not going up against a single SAM site or radar, but a full constellation of systems that includes aerial assets, just like the advanced integrated air defense system we discussed before. That is why “brochure comparisons” of systems is nearly useless for such complex military topics. In real life, the Growler does not take on the S-400 alone, and vice-versa. An advanced IADS including the S-400 in it will likely feature increased detection ranges against stealthy and non-stealthy aircraft alike. It will also make jamming more problematic, and could mean blinding even a portion of that network is much tougher due to multiple layers of redundant air defenses tied together. This is where cyber warfare and pinpoint strikes based on multiple sources of intelligence can be more effective than jamming or going after the surface-to-air missiles and sensors themselves. For instance, taking out the IADS’ “brains,” locations where the sensor fusion occurs, or striking the system’s communications channels. 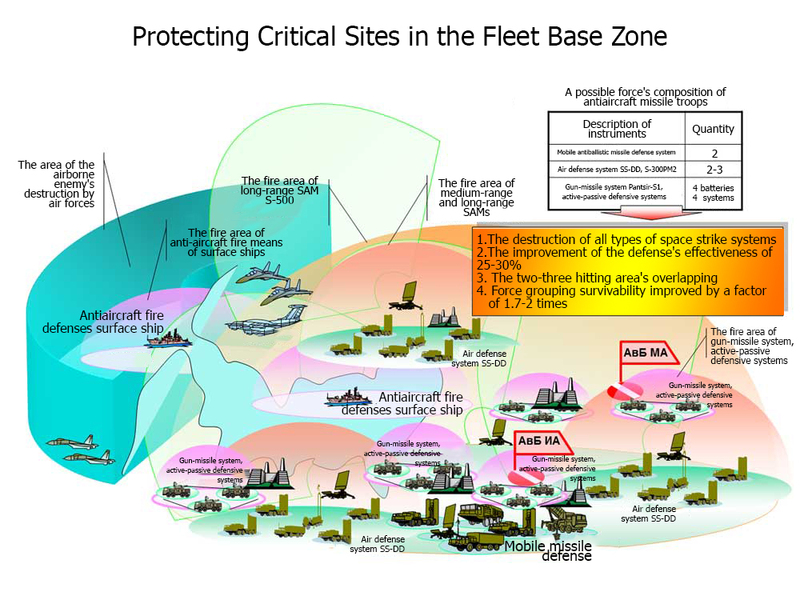 As IADS sensor and fusion capabilities advances and as surface-to-air missile ranges increase, it may be necessary to use stealthy long-range networked weapons, long-range stealthy aircraft and all the other tactics we mentioned, including standoff jamming, in order to begin to degrade and eventually destroy an advanced air defense system. Additionally, this may be necessary due to other area-denial and anti-access capabilities the enemy possesses. For instance, if a carrier cannot get within 1,500 miles of an enemy’s shores, its aircraft will be incapable of striking targets. Bases within range of ballisitc missile barrages may also be destroyed. As the cumulative effects of these “first days of war” standoff strikes take hold, the IADS should begin to buckle, and parts of this deadly air defense killing cocktail can be omitted. For instance, instead of using long-range stealthy aircraft to launch long-range stealthy missiles, stealthy fighters can be used to launch medium-range weaponry as their tankers can operate close enough to enemy airspace in order for them to be effective. Meanwhile, long-range non-stealthy aircraft can begin launching long-range weapons, which frees up stealthy long-range aircraft to begin pushing over or near the enemy’s shores for direct attacks. Systems like Miniaturee Air Launched Decoys can be used along with strike assets to push deeper into an enemy’s territory, wiping out its air defenses along the way. As time goes on, a “sanitized” corridor should emerge over enemy airspace, where less complex tactics can be applied and at higher sortie rates. For instance, fighter strikes can be flown with electronic warfare and wild weasel support, without the need for standoff weaponry, or in some cases, without stealthy aircraft at all. 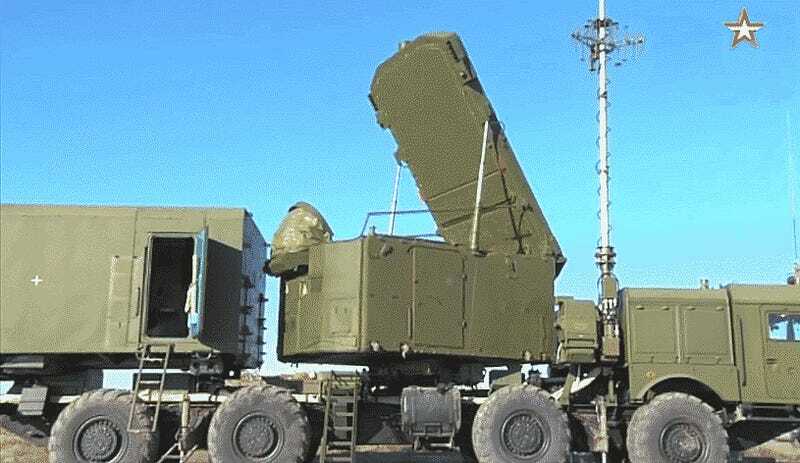 In other words, it takes a complex cocktail of jamming, surveillance and attack assets, both kinetic and non-kinetic, to take on any advanced integrated air defense system, of which the S-400 could be a part. And even then, you degrade and eventually destroy the enemy’s air defense in a very throughout and methodical manner. So although it is an incredibly capable and critical weapon system, those who say the EA-18G Growler—or any other single weapon system for that matter—is some panacea for modern air defense systems are greatly simplifying a complex solution to a very complex problem. Photo credits: Growler, F-15 via DoD, S-400 at Latakia via Russian MoD.